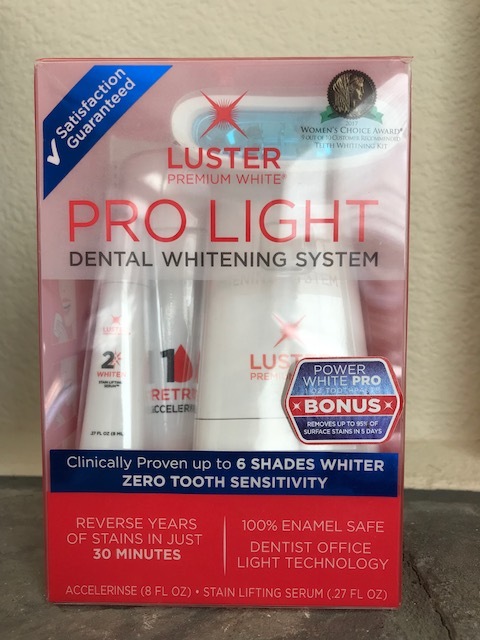 PRO LIGHT DENTAL WHITENING SYSTEM from Luster Premium White is a dentist-approved, enamel-safe teeth whitening kit you can easily do at home. Luster does away with everything that is “out”in tooth-whitening these days; costly, inconvenient office visits, messy trays and strips and slow results. Instead, this brand is all about what’s “in” which means affordable treatments when and where you want them, easy to use application and even instant gratification! PRO LIGHT DENTAL WHITENING SYSTEM is the fastest and most effective teeth whitening system on the market. It works to reverse time by erasing years of stains in just 30 minutes using the same whitening light technology found in your dentist’s office. The kit includes a bottle of AcceleRinse to pre-treat teeth, a Whitenig Serum with active dentak peroxide, a patented Dual-Action Whitening Light for optimal whitening (the only one available at retail that is FDA approved), batteries, a shade guide and quick-reference guide. I think this is a lot of fun! I whiten my teeth utilizing this fabulous system after dinner (it’s best not to eat for 30 minutes after you whiten your teeth). First, you rinse with the minty rinse inside the package. Then you apply the whitener with a little brush onto your teeth. Let it dry. Next, you turn on the blue light device and place it near your mouth until it buzzes and turns off, in about 2 minutes. After that, you brush your teeth with their fluoride toothpaste. Repeat up to five times for the best results. 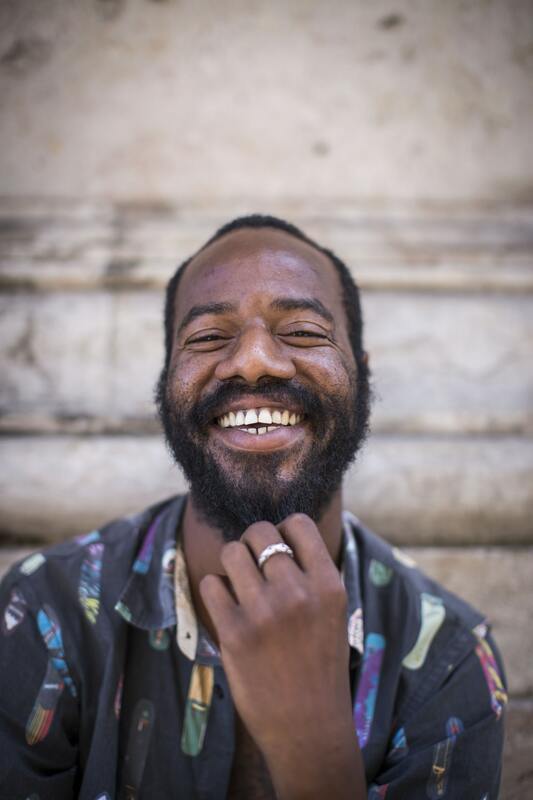 In just a few treatments, my teeth are significantly whiter and brighter! I feel like a celebrity. I highly recommend this product if you covet that movie-star smile. For more details, go to www.lusterpremiumwhite.com.